OfficePOD is the new office room innovation for anyone who work at home, OfficePOD provides privates working environment that is separated from main home. OfficePOD designed using high quality materials have been carefully chosen for their combination of visual, physical and environmental characteristics, it could be arranged easily even in gardens with the most difficult access. By using OfficePOD you can create an environment that is productive to work anywhere on your home. 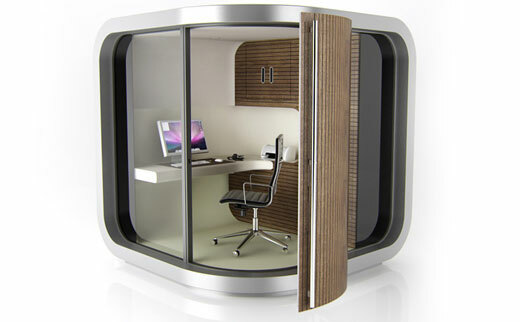 The OfficePOD is of optimum size (2.1m x 2.1m) and does not require planning consent in the greater majority of cases. Can I have one of those portable offices?